The Capstan Standard Cost Segregation Study (SCSS) is designed to aid commercial real estate owners in the United States. By leveraging the IRS-accepted practice of cost segregation, the SCSS can generate significant tax savings. 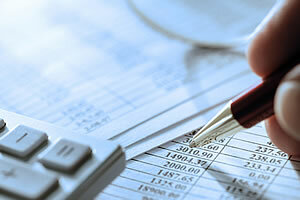 The SCSS is designed to comply with all methods by which a taxpayer’s use of accelerated depreciation must be documented, as delineated by the IRS Audit Technique Guideline. It can be used in most ownership scenarios and is applicable to everything from new acquisitions to look-back studies of assets placed into service as far back as 1987. The Capstan Advanced Cost Segregation Study (ACSS) enhances the level of asset pricing detail found in SCSS, particularly regarding base-building assets (Section 1250 assets). The purpose of this additional detail is to enable a property to undergo future asset dispositions in accordance with the IRS-issued Tangible Property Regulations. The Capstan Fixed Asset Allocation Study (FAAS) is a snapshot review of a client’s fixed asset schedule over a specific period of time. The purpose is to ensure that all costs are properly classified as a capitalized item or an expensed item. If capitalized, the proper Modified Accelerated Cost Recovery System (MACRS) asset class life is applied. Invoices and construction drawings are reviewed, and testing is done for Routine Maintenance Safe Harbor. In addition, the Betterment, Adaptation, Restoration test is performed along with Materiality testing of assets to determine whether spends are capitalized or expensed. FAAS is commonly used to update existing Cost Segregation Studies in order to maintain the integrity of client fixed assets throughout the asset life cycle. The Capstan Cost Segregation Desk Review (CSDR) is a streamlined form of the Standard Cost Segregation Study that is appropriate for simple, new construction projects only, as there is no associated on-site visit. The study synthesizes the existing detail found in invoices, contractors’ ledgers, and a full set of construction drawings to accelerate depreciation and make sure that all assets are placed in the proper Modified Accelerated Cost Recovery System (MACRS) asset class life. The Capstan Tax Director will prepare any required 3115 tax documentation in order to change the accounting method of an entity, which often occurs at the conclusion of look-back cost segregation studies. This service is typically performed at the request of the client’s CPA.